I have lived in Boise for almost 20 years and I love to dirt bike. So I thought I’d write this post to share a few of my favorite places to ride in the Treasure Valley. There are many more places that I’m sure I’ll discover after writing this post initially, so I’ll keep coming back to this post and adding places as I discover them. If you know of any good dirt biking spots around, please leave a comment and let me know. I’ll go check them out, add pictures, and include them on the list. The spots below are ranked from the closest spot to my house (In Meridian near Locust Grove and McMillan), to the furthest spot from my house. However, if you live in any of the neighboring cities: Boise, Meridian, Nampa, Caldwell, Kuna, Star, Middleton, Garden City, Eagle, etc, you’ll hopefully benefit from this too. 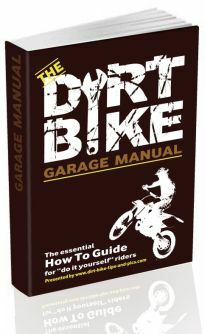 We have lots more articles on where to ride dirt bikes here. However, I probably wouldn’t recommend this area for kids. Almost the entire area is loose sandy and light dirt, so it’s tough for kids to pull out of it when they start tipping. My kids (8 and 6 years old) kept falling over and hated this spot. Adults will have no trouble here, but kids may not enjoy it as much. How to Get There: 43.860273, -116.447290 Just copy and paste these GPS coordinates into your Google Maps app and it’ll take you right there. There is a large dirt parking area at these GPS coordinates, or you can continue driving up the road a while where you’ll find an alternate parking area with even more trails. Description: This is not a public spot. It’s a motocross race track that is member-supported. They have some events open to the public and some that are for members only. I’d like to learn a little more about it and give it a try, but their website makes it really confusing how a new person can participate. This is a very busy place on race weekends with about 100 people there. How to Get There:43.676987, -116.206370 Just copy and paste these GPS coordinates into your Google Maps app and it’ll take you right there. The club is located at 6600 Cartwright Road in Garden City. Penitentiary Park is an area just south of the airport in Boise. It offers miles of rugged trails on flat ground. Description: This is a great spot to dirt bike just south of the airport, Gowen Field, and the prison (hence the name, Penitentiary Park). There are miles and miles of trails, including some cool things people have carved into the trails like a section of whoops. There are two negative things about this spot: (1) It often smells bad out there. Is there a landfill nearby? (2) There are TONS of coyote and other animal holes in the ground and it can be hard not to hit them and lose control. How to Get There: 43.400421, -116.233631 Just copy and paste these GPS coordinates into your Google Maps app and it’ll take you right there. This you’ll see a large dirt pull out area on the left side of Pleasant Valley Road. Just pull in there and park, and you can ride forever along those trails. This is about 7 miles south of the airport and Gowen Field. Description: This is a long 26.1-mile loop overlooking the city of Boise from the foothills and reaching three different summits above the city (Aldape, Eagleson, and Crooked Summit). It’s a popular trail for hikers, dirt bikers, and others. Most of it is just riding along dirt roads, though, so it’s not as thrilling for advanced riders. How to Get There: 43.650705, -116.147056 Just copy and paste these GPS coordinates into your Google Maps app and it’ll take you right there. This is the dirt parking lot along Sunset Peak Road (8th Street Road) that starts the 26 mile loop trail. Jubilee Park in Caldwell Idaho. This is just south of Lake Lowell. Description: This is arguably the best place in all of Idaho to ride for free. It’s maintained by Canyon County and it’s an awesome free resource for the community. There is a flat training area near the parking lot, a dedicated 40-acre OHV training area, and 1,350 total acres of just open space and trails. Awesome! How to Get There: 43.501378, -116.712299 Just copy and paste these GPS coordinates into your Google Maps app and it’ll take you right there. There is a large dirt parking area at the corner of Perch Road and Deer Flat Road. There is an alternate parking area a little further down Perch Road. This area is south of Lake Lowell. Description: This is a huge and very popular dirt biking area just south of the Snake River in the Owyhees. It’s desert riding with mostly sand and light dirt. How to Get There: 43.325566, -116.642545 Just copy and paste these GPS coordinates into your Google Maps app and it’ll take you right there. It’s along Upper Reynolds Creek Road. Description: Clay Peak is owned and operated by Payette County and is open from dawn to dusk each day year-round. There are hill climbs, tabletops, sweepers, and more. They have a bare-bones website without much information, but it is free although camping is not allowed. How to Get There: 44.061460, -116.888106 Just copy and paste these GPS coordinates into your Google Maps app and it’ll take you right there. This spot is right off highway 52–slightly southeast of Payette. The address is 2560 Hwy 52, Payette, ID. 83661. Description: If you have your bike ready for sand dunes, this is an awesome spot. There are 130 acres of sand dunes mixed with sage brush. You can see a video of what it’s like here. How to Get There: 44.297630, -117.208527 Just copy and paste these GPS coordinates into your Google Maps app and it’ll take you right there. The large dirt staging area is on the left-hand side of Olds Ferry Road. What's a Dirt Bike Spark Arrestor? What you need to know.